Cary Grant’s daughter Jennifer is publishing a new memoir of her father this week entitled Good Stuff (Knopf). 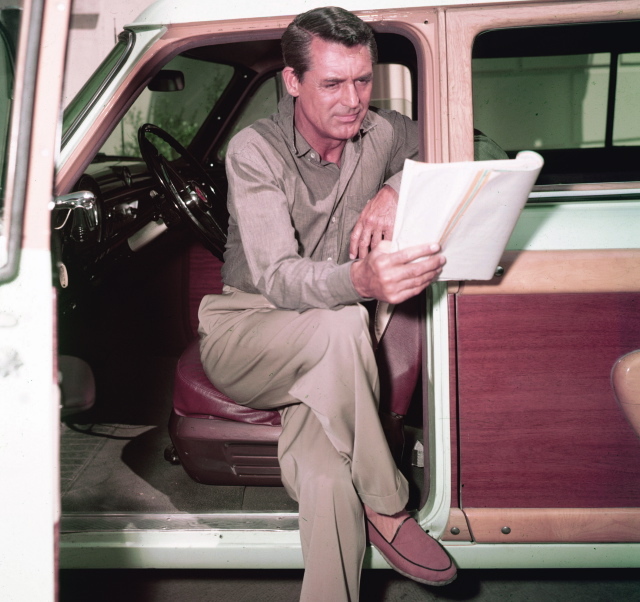 In celebration DRIVEN takes a look at the book and offers this classic snap of the iconic actor perusing a script while filming Alfred Hitchcock’s To Catch A Thief in 1955. A study in stylish khaki-wearing to be sure. This entry was posted in Icons and tagged 1950s, Alfred Hitchcock, books, Cary Grant, Driven, Hollywood, khakis, UrbanDaddy's DRIVEN. Bookmark the permalink.